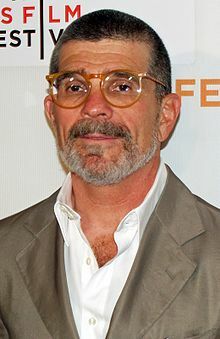 David Mamet is a highly successful screenwriter, playright, film director, and author. In 2011, after converting from a self described liberal to conservative, he wrote a rant on why liberalism was destroying America’s culture: The Secret Knowledge: On the Dismantling of American Culture. Mamet is an exceptionally talented and creative man. He is one of those people who has worked hard and translated his gifts into great success – all of which appears to be well deserved and accomplished in a highly competitive market in the arts and entertainment industry. Mamet is an example of why meritocracy works. Mamet also can be very funny – as this book demonstrates. If you are interested in finding some brilliant insights and descriptions of how liberalism has gone wrong, and one of the key variables debasing our culture, you will enjoy this book. What most struck me, however, was the same sadness that I experience whenever I hear descriptions of left vs. right, Democrat vs. Republican, and liberal vs. conservative. In recent decades, the US finances have been run significantly outside of the law and that has become a primary source of wealth and inequality in America. There is a deeper problem and it needs to be addressed. Imagine how powerful Mamet would be if he understood the relationships between organized crime, the federal credit and the growth of inequality in America. He earned his money. Increasingly, people in America make money by destroying wealth through corruption of complex governmental mechanisms. Then they use conservative arguments as air cover to justify their booty. This helps to generate more crazy liberals who are also subsidized by federal subsidies and credit. Confusion on all sides of the political spectrum would benefit enormously from a clear picture of how government subsidy and corruption contribute to our current economic and financial situation as well as our impractical or hypocritical philosophies. Mamet is an major supporter of Israel. I am not as a result of watching the impact of the Israeli lobby on the illegality of beltway cash flows, the events of 9-11 and the subsequent changes in the federal credit and finances. None of that takes away from Mamet’s contribution. The defense of Western culture and values is critical. A powerful defense that leaves us laughing and filled with pride for the very best of our traditions is always welcome.